With an average speed of just 200 kph, the Hungaroring is the slowest permanent circuit on the Formula One calendar. Slow, however, doesn’t mean easy as the circuit requires precision and preservation. It is a physical track, demanding a lot from the drivers who, in turn, demand a lot from their car. Hungaroring has 14 corners and few straights, which puts increased emphasis on downforce and mechanical grip. Likened to Monaco or a full-sized karting circuit, the Hungaroring offers few overtaking opportunities, meaning qualifying is of utmost importance. But if not at the front, drivers can attempt to emulate Jensen Button’s performance in the 2006 Hungarian Grand Prix where he drove from 14th to first. In today’s era, that kind of tenacity needs to be aided by tire strategy, for it is a key cog in a driver’s upward climb. Tire management is a crucial part of that strategy as the Hungaroring is incredibly tough on tires. Typically hot weather combined with a high amount of traction, braking and lateral energy demands work the tires and the driver hard. However, these forces are all relatively equal, meaning a neutral setup is required. An extreme level of fitness is required for the drivers, who are seemingly always turning the wheel amid high temperatures with scant amounts of air flowing through the car. During construction of the Hungaroring in 1985, a spring was discovered just after turn three. 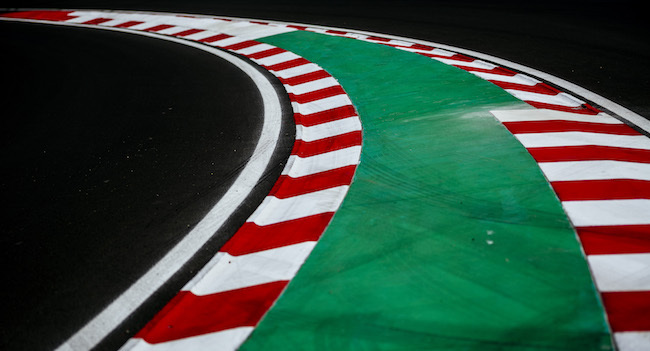 Engineers were forced to add a chicane, diverting the track’s layout around the spring. The first three Hungarian Grands Prix were run on this configuration before engineers developed a culvert for the stream in 1989, allowing a direct route between turns three and four. Michael Schumacher holds the race lap record at the Hungaroring (1:19.071), set in 2004 with Scuderia Ferrari. Weather prediction: lows will range from 20-21 degrees Celsius to highs of 30-31 degrees Celsius. Verstappen: "It is really frustrating"
Hülkenberg: "We didn’t have the pace"